Kevin Parker's C.T.U. 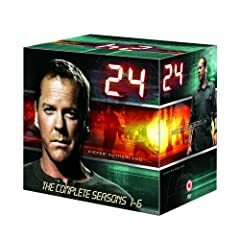 Identification Badge from the hit American television series, 24. 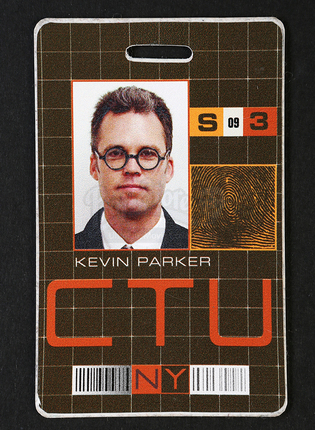 This badge was worn by a background CTU agent during the events taking place at CTU in New York. 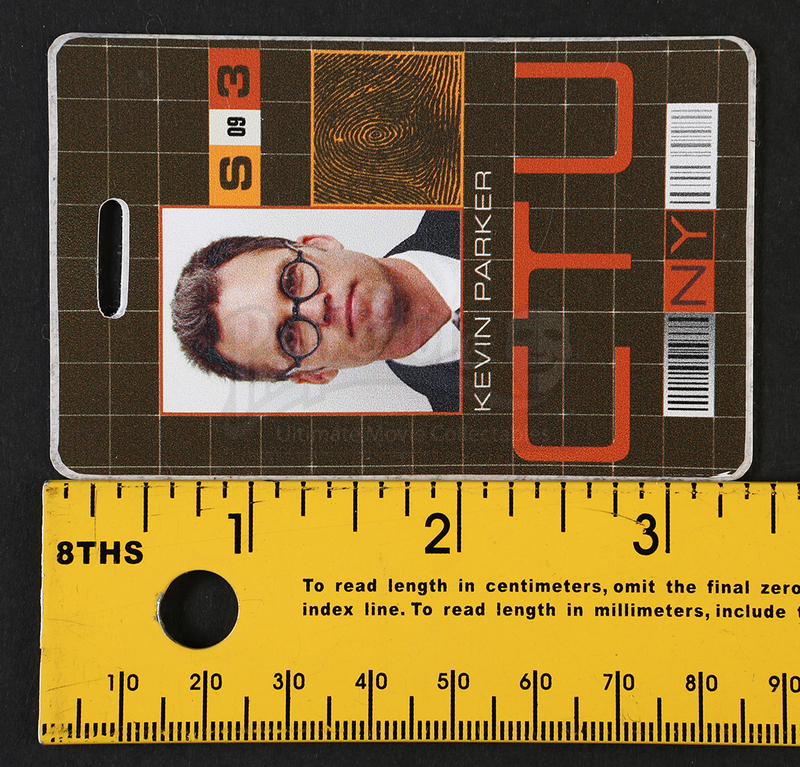 The front of this badge features a photo of Parker on the left side, and a scan of his fingerprint on the right. 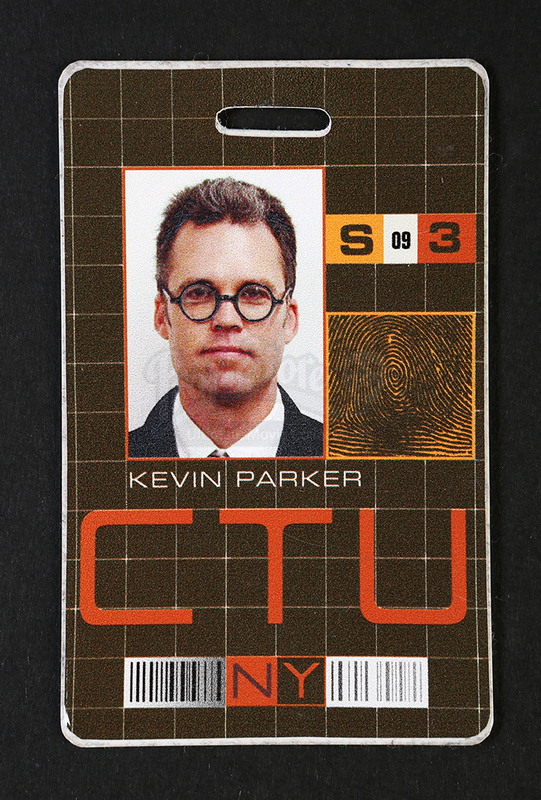 Beneath this, his name, CTU, and a bar-code have been printed. 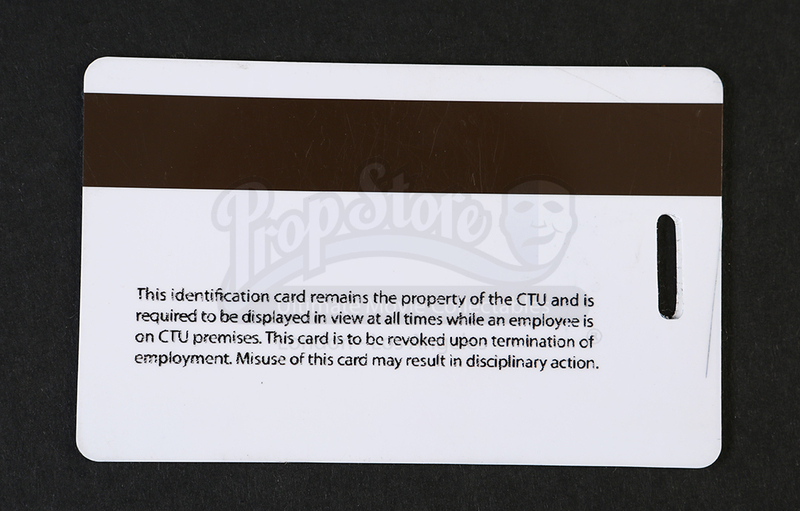 The back of the badge includes a faux magnetic strip, as well as the legal restrictions the badge entitles the owner to. The top of the badge has an oval cut out, allowing it to be attached to a lanyard. This item features some signs of wear from production use, including a few minor scratches, but remains in overall excellent condition.